Ben Ng, Vice President of WEFIC, said: “Given the strong market demand for wellhead products and the tight delivery requirements in relation to the Australian market, WEFIC partnered with KINETIC to make use of an established service facility in a bid to rapidly meet customer’s expectations and alleviate customer’s pressure on warehousing and financing.” WEFIC have gained through KINETIC’s resources in warehousing and logistics, installation and competencies as well as in the localized services across Australia, New Zealand and PNG. 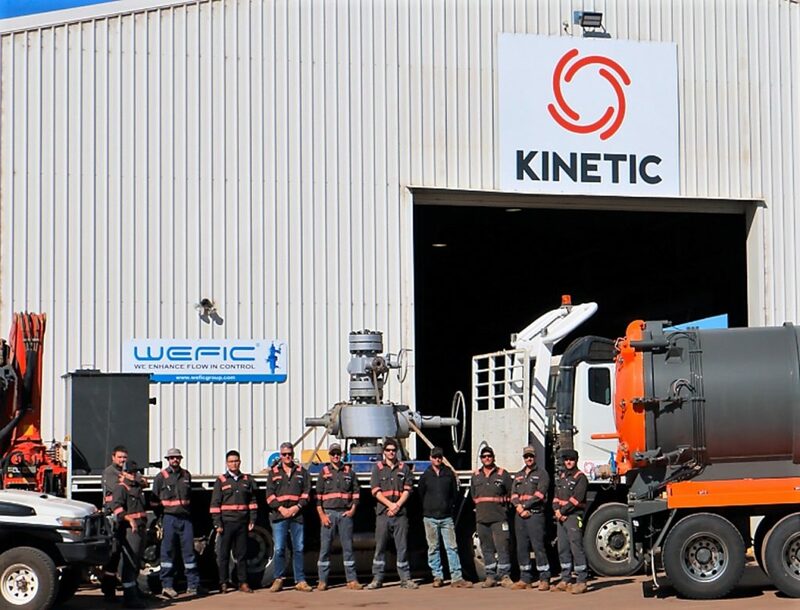 With the support from WEFIC in terms of being able to provide the world’s leading wellhead products, technologies and training, KINETIC plans to expand its business scope to sales and maintenance of high-end wellhead products, in addition to its existing well intervention and logging services. WEFIC’s high-end wellheads feature leading innovations such as modular and nested hanger configurations, as well as the ability to perform drilling operations without the need to dismantle the blowout preventer (BOP), collectively minimizing the operation risk, saving on the installation time and costs of well heads using conventional well head systems. The wellheads are gaining increasing popularity among Australian and New Zealand customers. Ben noted that WEFIC, KINETIC and local customers all stand to benefit from the service facility. In addition to providing the product and service support for conventional oil and gas wellhead development and unconventional CBM wellhead projects at the local level. The service facility will help WEFIC enhance its presence in Australia, New Zealand and Papua New Guinea. WEFIC specializes in the research and development of conventional wellheads, high-end wellheads, valves and onshore Christmas tree equipment backed by a world-class team of wellhead professionals in Singapore. KINETIC focuses on well intervention services, fluid management and production services, logging and production chemicals, with service facilities in Australia and New Zealand.